Showing results for tags 'actioncomics'. *Price Drops* AMF, Archie, Action Comics, GA Galor! 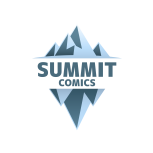 Summit Comics will be hosting a clear out winter sale for all golden age lovers! The following rules apply, PMs & offers are welcome, but the first gets the book in time order. No charge backs. Payment via paypal. Insurance comes at the cost of the buyer. Shipping is not included in purchase price. Refund ONLY applies to purchases over $500 *Refund Policy* 4 Days after arrival, must be in same state it was bought in, and shipping is covered both ways by buyer. So lets get right into it! CGC 4.0 blue label, light-tan/off-white pages, from the Jon Berks collection. Rare AMF's don't come up often! Asking $2000 USD. SOLD Amazing Mystery Funnies V2#3 CGC 7.5 blue (old)label, off-white pages. Classic archie cover, gotta love it! Asking $1900 USD. SOLD Junior Comics #11 *DELETED* Not CGC. CGC 5.5 yellow label (signed by Stan Lee,) off-white pages. Classic hulk book, awesome signature! Asking $165 USD. *PRICE DROP* The Incredible Hulk #102 Raw 0.5 book, missing ALL superman pages. Real bummer but good show piece for someone looking for a cheap version of an awesome book! Asking $285 USD. *PRICE DROP* Action Comics #18 Well that's everything available at the moment! Will continue to update this post as more books arrive! Enjoy the cool weather, Warm regards, Josh. Dreamtoreal1 posted a topic in Comics Market - Want To Buy!